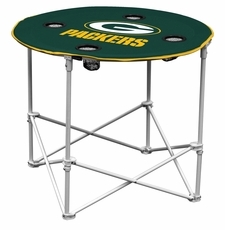 NFL Tailgate Table: The Round / Square Tailgate Table is a portable table made of 600 denier polyester and measures 30 inches in diameter / 30 inches square respectively and 24 inches tall. Height matches the Logo Canvas or Deluxe Chairs for easy dining. 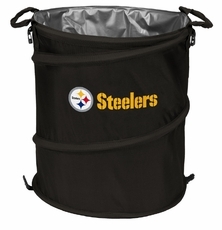 Folds up for easy storage and transport. 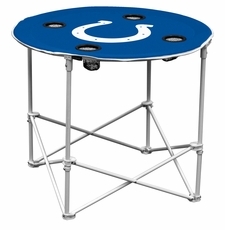 Features screen printed logo and four cup holders. 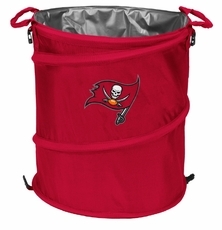 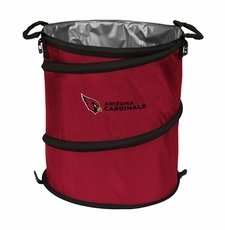 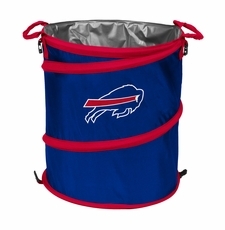 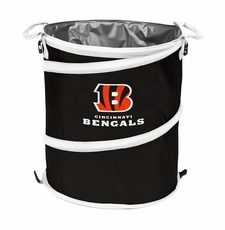 NFL 3-in-1 Collapible: The 3-in-1 Tailgate Trash Can / Cooler / Laundry Hamper is a multi-purpose container for at home, tailgate parties, or any event. This lightweight container is perfect as a trash can, laundry hamper, or open beverage container to keep those drinks cold. NFL Pole Caddy: The Atlanta Falcons Pole Caddy is great for the beach, campground, patio or any outdoor activity. This NFL team caddy offers a functional way to stow all your essential gear in a secure holder and within easy reach whenever your are outside. Caddy comes standard with attachment, parts, sizing insert and tightening screws for easy assembly. Fits most tailgate tent frames and patio/beach umbrellas. Display your team's colors at your next tailgate party, sports event, picnic, or camping trip. Get your NFL team Tailgate Gear today!